2 Bedroom Terraced Cottage For Sale in King's Lynn for Guide Price £290,000. 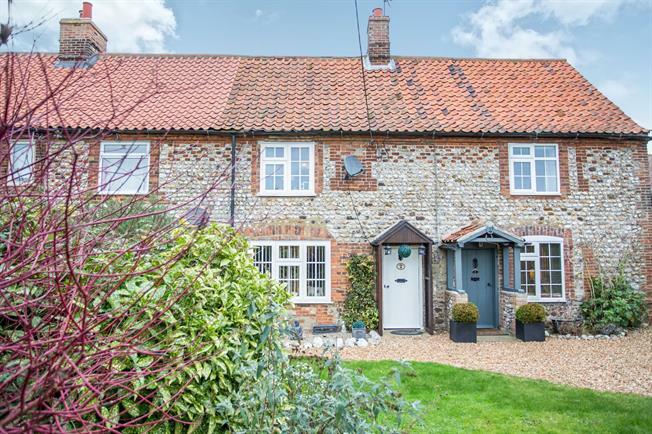 Three Sunnyside is a traditional Norfolk country terraced cottage situated in the heart of the picturesque village of Docking. The property is positioned close to local amenities and the coastline which makes it a perfect second home. The accommodation downstairs comprises of kitchen, bathroom, dining room and living room. Upstairs the property has a good sized master bedroom, separate toilet, shower room and second double bedroom. There is also a converted loft room which is accessed via a ladder. Outside there is a nice sized garden, garage and parking for several cars. There is also scope to add extra bedrooms with the converted loft space that is fully boarded.